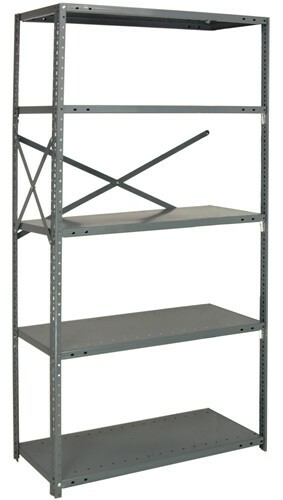 Open Shelving Add-On Units are ideal for industrial and commercial storage and organization. 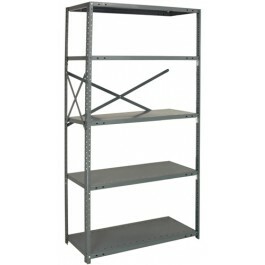 Shelving offers easy access to product, high visibility and air flow from all sides. 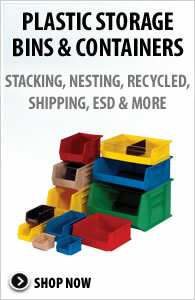 Units are available in 18 & 20 gauge, 4 heights and 15 shelf sizes. Each add-on unit includes 2 offset posts (punched on 1" centers for easy adjustment), one beaded post, one pair back sway braces, one pair side sway braces and selected number of shelves. 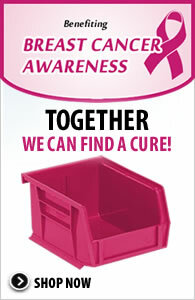 Shelves are engineered for superior strength and are triple bent on all four sides. Easy and quick assembly. Available in Gray. 12" x 42" x 87"